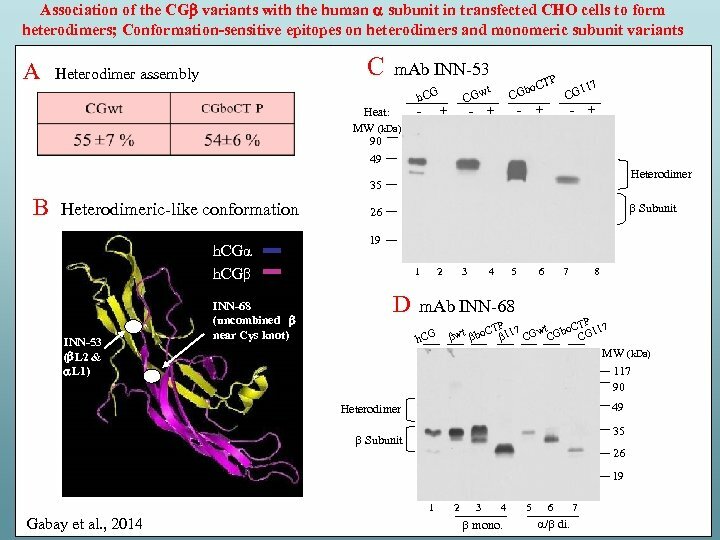 Association of the CGb variants with the human a subunit in transfected CHO cells to form heterodimers; Conformation-sensitive epitopes on heterodimers and monomeric subunit variants A C m. Ab INN-53 Heterodimer assembly G h. C Heat: MW (k. Da) 90 49 - + wt CG - + TP C Gbo C - + 117 CG - + Heterodimer 35 B Heterodimeric-like conformation h. CGα h. CGβ INN-53 (b. L 2 & a. L 1) INN-68 (uncombined b near Cys knot) Subunit 26 19 1 2 3 4 5 6 7 8 D m. Ab INN-68 h. CG P TP t o. CT 17 wt bo. 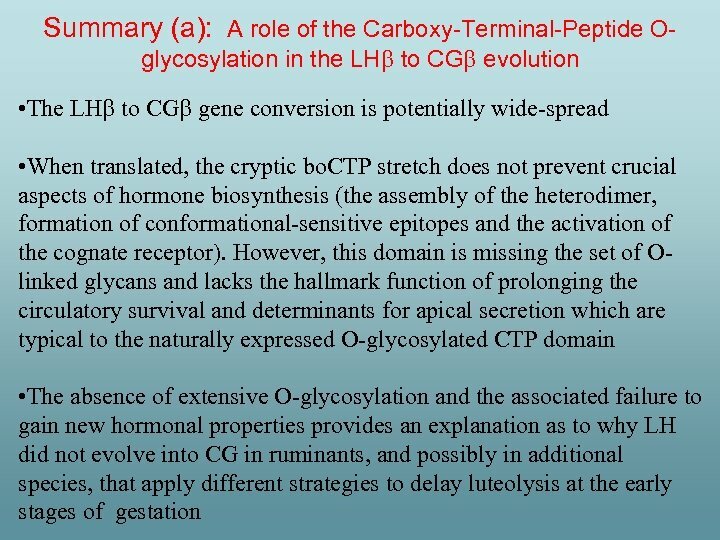 C 117 CGw CGb CG 1 MW (k. Da) 117 90 49 Heterodimer 35 Subunit 26 19 1 2 3 4 5 6 7 Gabay et al. 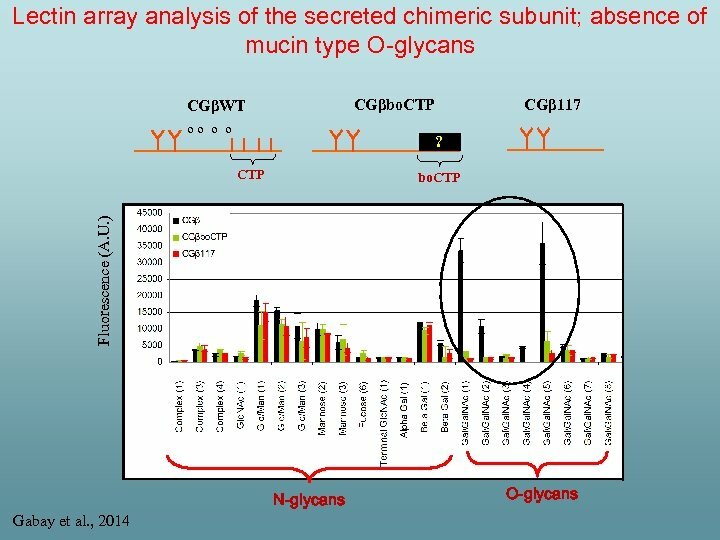 , 2014 mono. 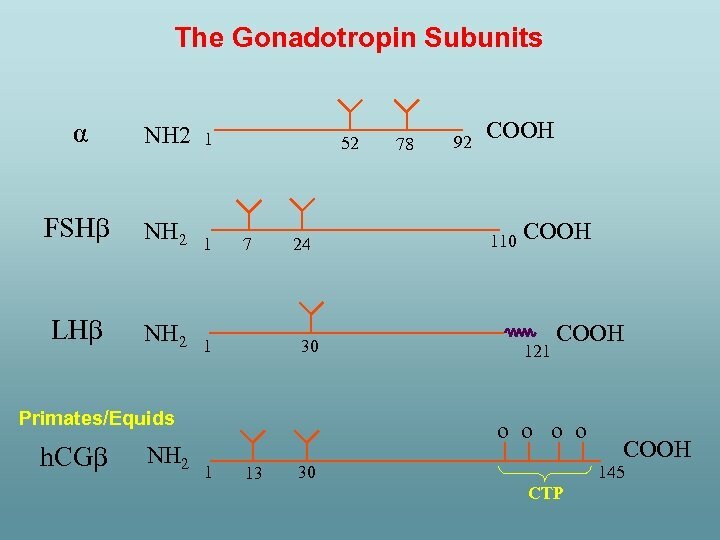 a/ di. 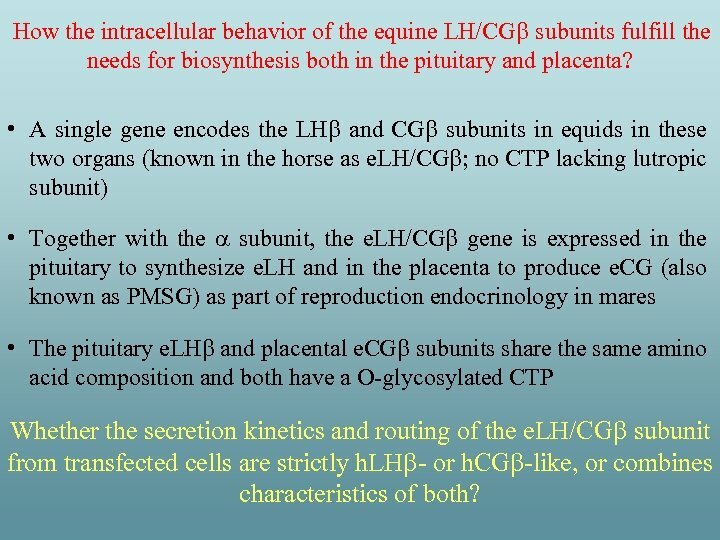 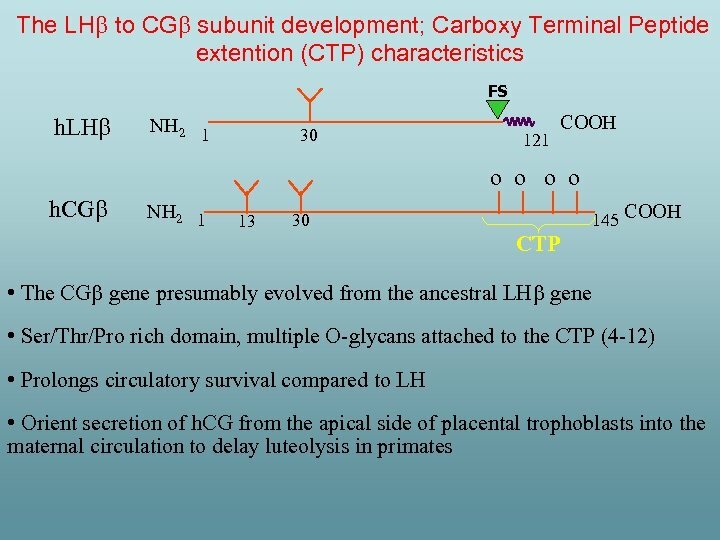 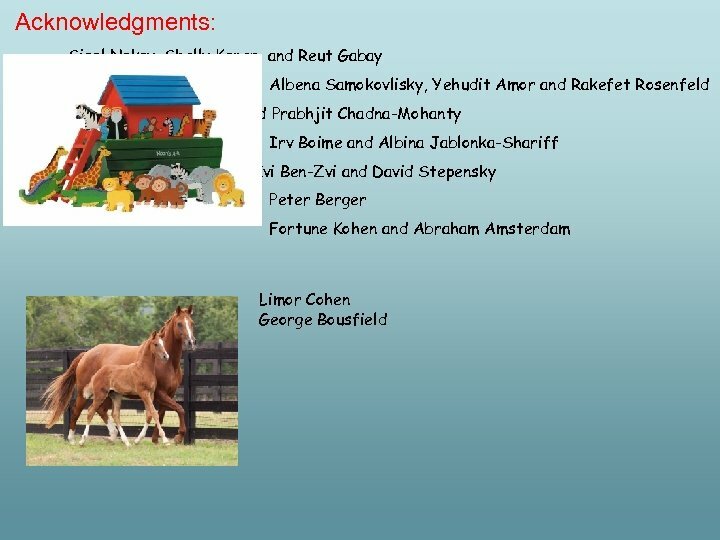 How the intracellular behavior of the equine LH/CG subunits fulfill the needs for biosynthesis both in the pituitary and placenta? 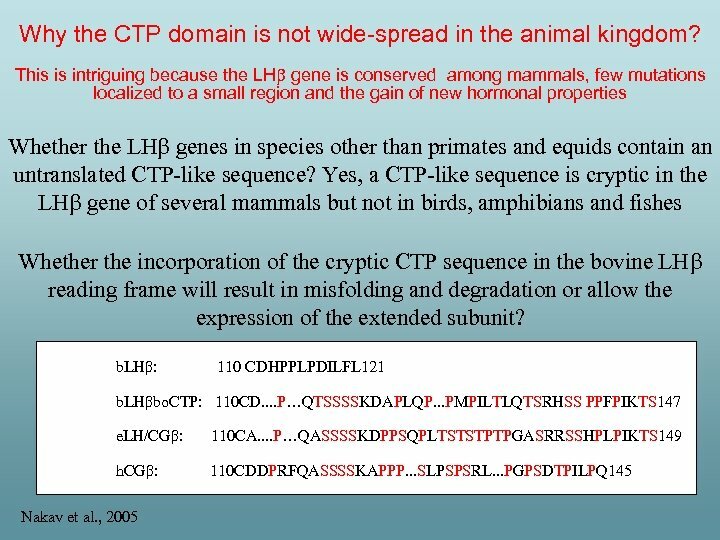 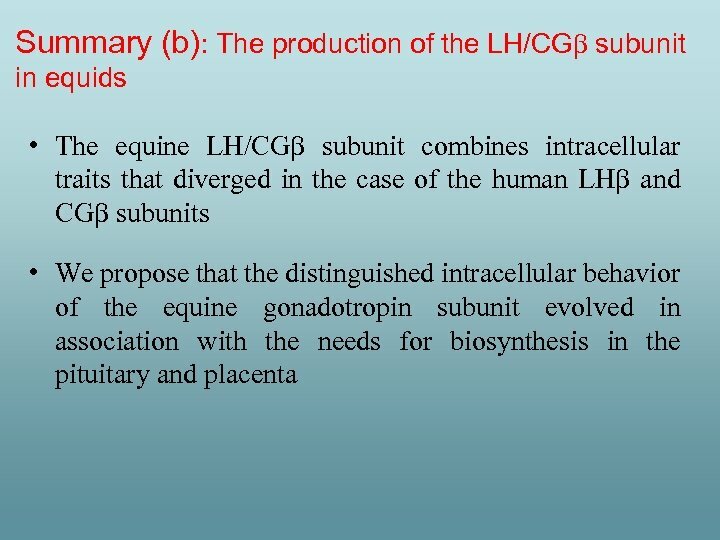 • A single gene encodes the LH and CG subunits in equids in these two organs (known in the horse as e. LH/CG ; no CTP lacking lutropic subunit) • Together with the a subunit, the e. LH/CG gene is expressed in the pituitary to synthesize e. LH and in the placenta to produce e. CG (also known as PMSG) as part of reproduction endocrinology in mares • The pituitary e. LH and placental e. CG subunits share the same amino acid composition and both have a O-glycosylated CTP Whether the secretion kinetics and routing of the e. LH/CG subunit from transfected cells are strictly h. LH - or h. CG -like, or combines characteristics of both? 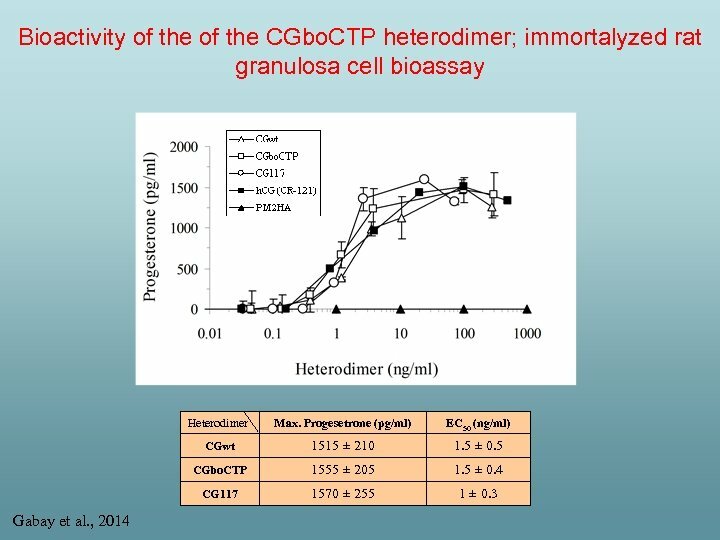 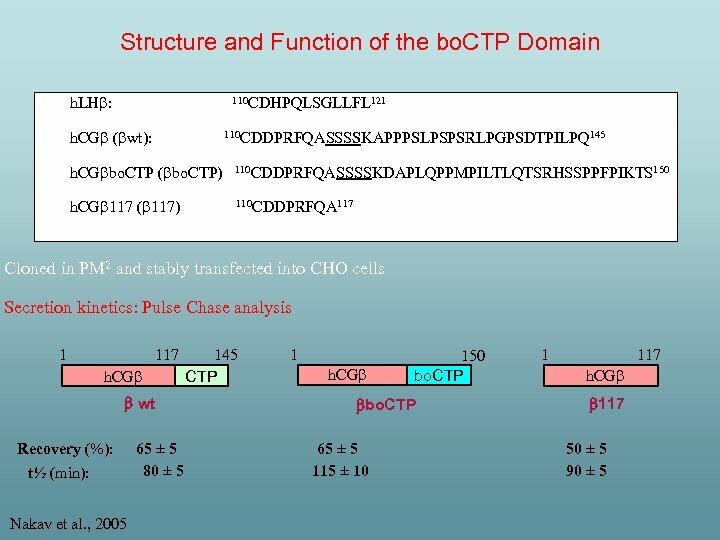 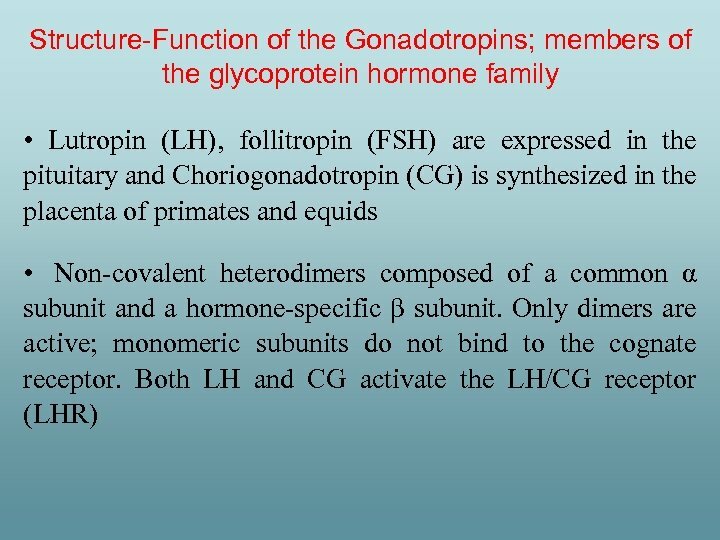 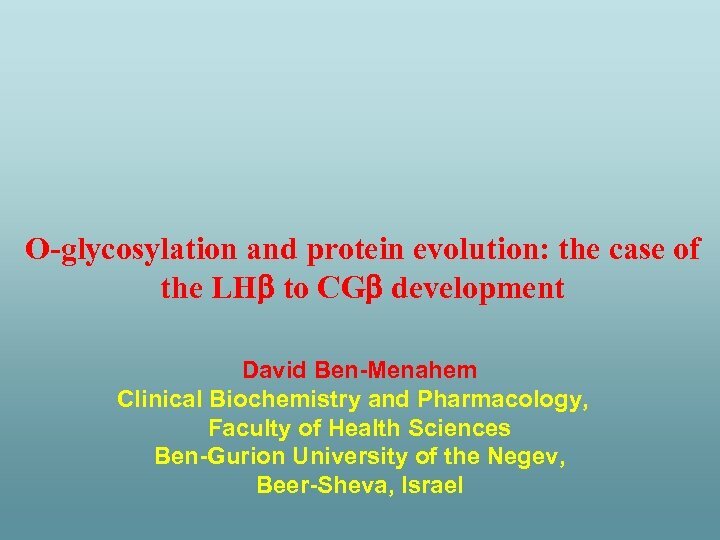 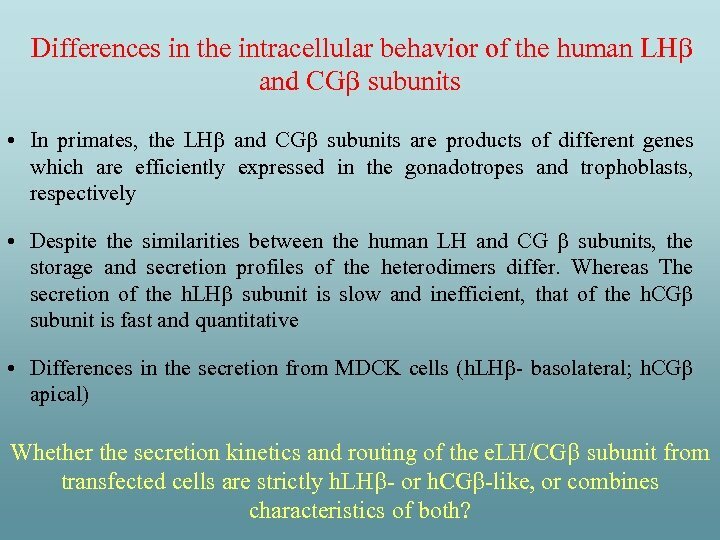 Differences in the intracellular behavior of the human LH and CG subunits • In primates, the LH and CG subunits are products of different genes which are efficiently expressed in the gonadotropes and trophoblasts, respectively • Despite the similarities between the human LH and CG subunits, the storage and secretion profiles of the heterodimers differ. 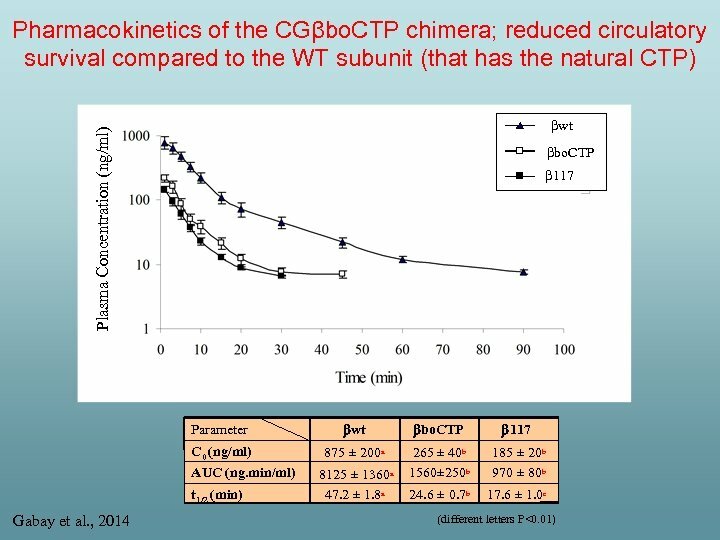 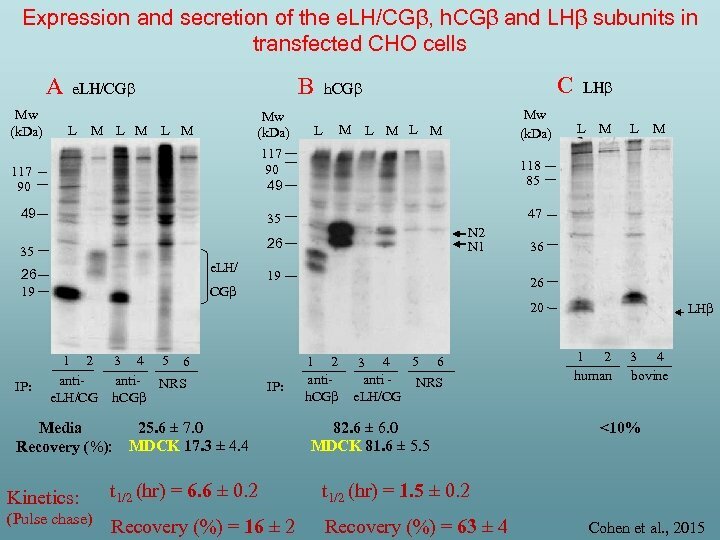 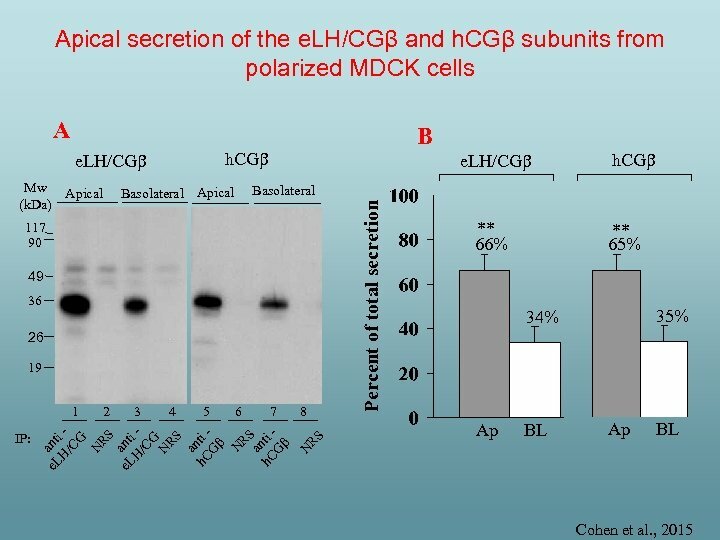 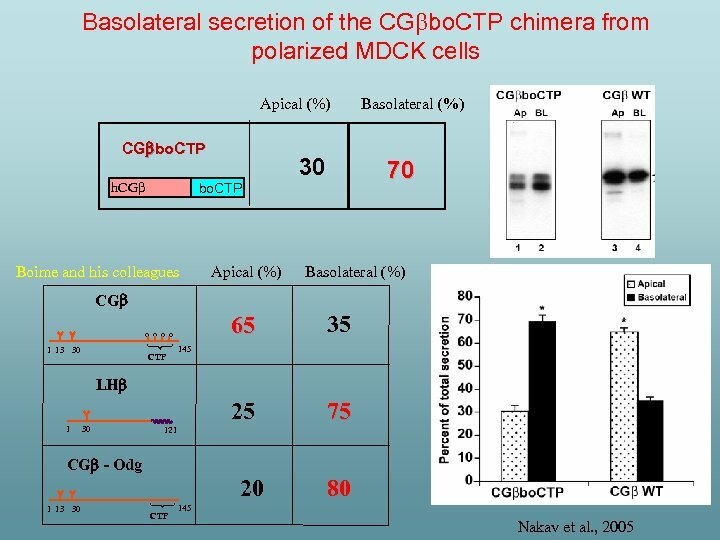 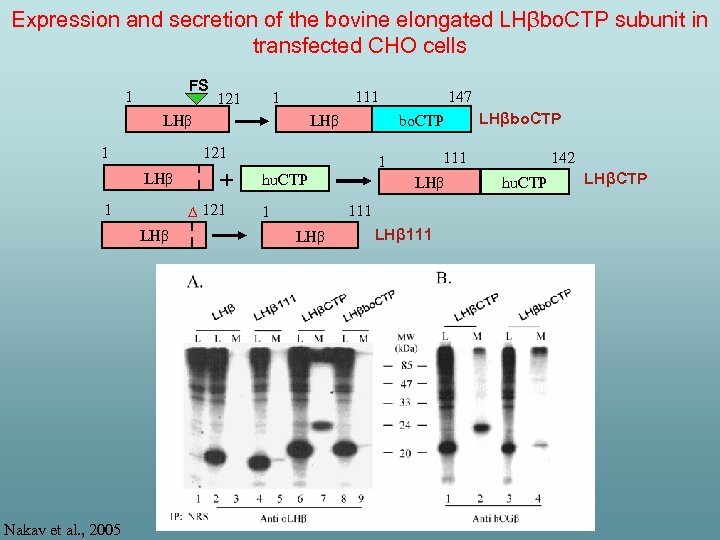 Whereas The secretion of the h. LH subunit is slow and inefficient, that of the h. CG subunit is fast and quantitative • Differences in the secretion from MDCK cells (h. LH - basolateral; h. CG apical) Whether the secretion kinetics and routing of the e. LH/CG subunit from transfected cells are strictly h. LH - or h. CG -like, or combines characteristics of both?